(January 3, 2019): Slowly but surely, the percentage of adults and children with dental insurance coverage benefits has gradually climbed. These increases have been driven, at least in part, by several factors. First, despite the fact that traditional Medicare does not cover routine dental services, a number of Medicare Advantage plans are now offering coverage for routine dental procedures such as cleanings and fillings. Second, approximately 37 states have expanded their Medicaid plan’s eligibility requirements. Notably, 25 of these states now provide at least limited dental benefits for adult Medicaid beneficiaries. Finally, a growing number of employers are now offering supplemental dental policies at affordable prices for their staff and families. Collectively, the American Dental Association’s (ADA’s) Health Policy Institute has estimated that approximately 89.7% of children and 72.5% of adults currently have some level of dental benefits coverage. Aetna is one of the largest insurance payors currently offering dental service plans. In fact, more than 12.7 million individuals now have coverage for dental services through Aetna. The payor has developed dental benefits packages that are offered by a number of Medicare Advantage, Medicaid and private plans around the country. Not surprisingly, Aetna’s “Special Investigations Unit” (SIU) has been aggressively working to identify and address suspected instances of dental improper billing practices, fraud and abuse. The purpose of this article is to provide an overview of Aetna’s dental claims program integrity auditing practices and discuss steps that your dental practice can take to reduce its level of risk and hopefully avoid the imposition of a significant overpayment by the payor. Aetna employs a core team of investigators to review and assess questionable dental claims billed to one or more of their programs. In addition to cases involving allegations of improper billing, the SIU is also responsible for investigating possible instances of health care fraud and abuse. From a business standpoint, Aetna’s SIU has proven to be financially prudent. Aetna’s SIU claims that for every dollar spent on enforcement, it recovered and / or saved the payor fifteen dollars. As you can imagine, a return on investment of 15 to 1 provides significant motivation for Aetna to further expand its SIU’s investigation efforts. Health Care Entities with Formal Peer Review Functions. Professional Societies with Formal Peer Review Functions. State Licensing and Certification Authorities State Law Enforcement Agencies. State Medicaid Fraud Control Units. State Agencies Administering or Supervising the Administration of a State Health Care Program. Agencies Administering Federal Health Care Programs, Including Private Entities Administering Such Programs Under Contract. Federal Licensing or Certification Agencies. Federal Law Enforcement Officials or Agencies. Unfortunately, after being reported to the NPDB, many dentists and other health care providers have suffered the proverbial “death by a thousand cuts.” After Aetna or another payor takes a reportable adverse action against you and files the report with the NPDB, it is quite common for other payors to initiate their own reviews of your dental practices and claims. This often results in additional adverse actions being pursued by other payor networks. Notably, most payor participation agreements include a requirement that you notify them with 30 – 60 days (depending on the payor) of any adverse action taken against you or your license. In recent years, the mere failure to file this report in a timely fashion has been cited as justification by some payors for terminating a provider’s participation in their network. Virginia. In this case, a Virginia dentist was sentenced to 25 months in prison for illegally dispensing controlled substances and for using the identity of another dentist to fraudulently bill Aetna for more than $160,000 in dental services he provided to family members. Virginia. In this case, the owner / operator of a dental practice was sentenced to 30 months in prison for defrauding Medicaid and four dental insurers of approximately $783,000. In this case, the defendant dentist’s fraud scheme included: (1) the fraudulent billing of dental services to Medicaid and other payors for dental services that were never rendered, some of which were billed while the dentist was out of the country; (2) the improper use of incorrect CDT billing codes that resulted in higher bills than were justified by the actual dental services provided; (3) the fraudulent “backdating” of dental services in an effort to have certain dental services covered by the insurance payor AFTER the patient’s insurance coverage had been terminated. New Jersey. In this case, a New Jersey dentist pleaded guilty to theft after fraudulently altering the dates of service when dental work for provided. The dentist admitted that he had falsified the dates of service in an effort to avoid contractual date restrictions set out in the patient’s dental insurance policies. After pleading guilty, he faced up to five years in state prison. III. How Are Dentists and Their Practices Targeted by Aetna’s SIU? A prior history of alleged overpayments. An adverse report filed against a dental professional on the NPDB. Complaints from beneficiaries and their families. Actions taken by State Dental Boards. Actions taken by Federal and / or State prosecutors and regulators. When Aetna’s SIU suspects that a dental provider is committing fraud, it will generally contact one or more of the dentist’s Aetna patients to confirm whether certain dental services were actually rendered. Many of our clients first heard that Aetna was conducting an audit of their claims from one of the practice’s patients. Billing for dental services that are not considered medically necessary after reviewing the beneficiary’s dental records. Billing for radiographs when no record of the x-rays can be produced. Billing for dental services that have been based on radiographs when a review of the x-rays does not show that the services were medically necessary. Billing for dental services that are not covered due to contractual date restrictions. Billing for dental services under the identity of a credentialed dentists when, in fact, the dental services were provided by a non-credentialed dentist. Billing for dental services that were not provided. Billing for dental services that qualify for coverage, when other non-covered dental services were actually provided. Failure to collect contractually required co-payments and deductibles from patients. Claims that are submitted with falsified dates of services in order to avoid denial because the services were provided after a patient’s period of coverage. Improper unbundling of claims for dental services that are supposed to be billed together. Proactive approach. A compliance program is a proactive way to make sure that your dental practice is meeting all ofits statutory and regulatory obligations. Evidence of good faith. The existence of a compliance program serves as evidence of a good faith effort to comply with the law in the event your dental practice becomes the subject of an investigation. Sentencing guidelines. In the event of criminal prosecution, the existence of a compliance plan is favorably considered under the sentencing guidelines. Your dental practice and its staff will also likely benefit from its compliance efforts if civil or administrative proceedings are pursued by the government or private payors such as Aetna. Minimize mistakes. An effective compliance program can speed-up and optimize the proper payment of your dental claims. It can also minimize the likelihood that you will submit incorrect dental claims to insurance companies for payment. If your dental practice is audited by Aetna or another payor, it is important that you contact qualified health law counsel before you respond to the payor’s request for documentation. You need to put your best foot forward when responding to an audit. We can assist you in that regard. The attorneys at Liles Parker have extensive experience representing dentists and dental practices in connection with dental claims audits. Notably, the attorneys working on your dental case are also Certified Professional Coders and have successfully passed the certification exam of the American Association of Professional Coders. Robert W. Liles serves as Managing Partner at the health law firm, Liles Parker, Attorneys and Counselors at Law. Liles Parker attorneys represent health care providers and suppliers around the country in connection with UPIC audits, ZPIC audits, OIG audits and DOJ investigations of Medicare telehealth services. He also advises health care providers in connection with Medicaid and private payor audits of telehealth services. Are you currently being audited or under investigation? We can help. For a free initial consultation regarding your situation, call Robert at: 1 (800) 475-1906. Henry J. Kaiser Family Foundation, “Current Status of State Medicaid Expansion Decisions,” as of December 28, 2018. ADA Health Policy Institute, Dental Benefits Coverage in the U.S. The types of actions that must be reported to the National Practitioner Data Bank are quite extensive. Notably, reportable actions are limited to allegations of malpractice. A wide scope of other adverse actions against a professional licensee (such as a dentist) must also be reported. (December 7, 2018): Each state sets their own licensure requirements, rules and regulations regarding the practice of dentistry, all of which are subject to change. While there are differences from state to state, the approach taken by most states with respect to the practice of dentistry is fairly consistent. After conducting a review of several other states’ regulations, it appears that the requirements imposed by the State Board of Dental Examiners (SBDE) on dentists in Texas is generally in line with that of other states. Having said that, the degree of regulatory oversight that has been placed on mobile dental practices may vary widely from state to state. This article examines the status of mobile dentistry in Texas and outlines a number of compliance concerns that should be addressed by mobile dental providers operating in both Texas and other states. The regulations covering mobile dentistry went into effect on September 1, 2001 and require that “every mobile dental facility, and except as provided herein, every portable dental unit  operated in Texas by any entity must have a permit as provided by this title (relating to Mobile Dentistry Facilities).” There are only a limited number of circumstance in which a licensee without a permit for a portable dental unit may provide dental services through the use of dental instruments and equipment taken out of a dental office. While this study focused on Medicaid patients only, the same fears can be mirrored for all patients. State regulators across the country have expressed concern that mobile dental units will be used to collect as much money as possible while leaving dangerous conditions untreated. If a mobile dental unit discovers an issue they cannot or will not treat, it could be difficult for another provider to perform the care the patient requires without the potential duplication of diagnostic dental procedures. This is especially true if the patient does not receive a copy of their dental record. The new provider may have to repeat x-rays or conduct their own clinical exam to determine the necessary treatments, which may or may not be covered by the patient’s insurance. If the patient does not have insurance, or their insurance refuses to pay, the patient may be required to pay for the repeated service. If the patient is unable or unwilling to pay for these services, the patient could suffer devastating consequences. The patient may also be exposed to higher levels of radiation due to the need to perform more x-rays. These fears, among others, have led to many states to regulate mobile dentistry. Mobile dentist providers will be the first to argue that the regulations Texas has placed on their business model are more strict than those imposed on traditional brick and mortar based dental practices. While brick and mortar dental practices must comply with a number of regulatory requirements, mobile dentist providers must comply with all of those primary requirements AND the extra regulatory mandates specifically laid out for mobile dentists in the Texas Administrative Code. A. Specific Requirements Imposed on Mobile Dental Practices. (G) A list of appropriate and sufficient dental instruments including explorers and mouth mirrors, and infection control supplies, such as gloves, face masks, etc., that are on hand. All permit holders except government or higher education entities, also must submit to the SBDE on the 10th work day of September each year a written report for the preceding year ending August 31, “detailing the location, including a street address, the dates of each session, and the number of patients served and the types of dental procedures and quantity of each service provided; except that such written reports may exclude information concerning dental services provided to less than three individuals at a private residence.” The dental permits expire one year after the issuance date or whenever the permit holder is no longer associated with the Mobile Dental Facility or Portable Dental Unit, whichever is sooner. The permit is not transferable and can be canceled by the Board after an investigation and opportunity for a hearing is given. These are only a few of the myriad of operating requirements covering mobile dentists. This exception therefore allows for a dentist to more easily provide care to the elderly who live in nursing homes or convalescent facilities since the permit is not necessarily required. There is no such exception for rural areas. Otherwise, the requirements for mobile dentists who serve office buildings, the elderly, or rural areas are the same. IV. How is Mobile Dentistry Treated in Other States? Many states now have mobile dentists who serve office buildings and commercial customers (including, but not limited to, Maryland, Virginia, Washington D.C., New York, Tennessee, and California). Many of these mobile dentists offer their services to a wide range of customers (corporate environments, private homes, and/or nursing homes / assisted living facilities) rather than just specializing in providing services to office buildings or commercial customers. However, there are other providers who specifically focus on commercial customers as well. V. How Does the Extent of Regulations Applicable to Texas Mobile Dental Practice Compare with that of Other States? Each state is unique in how they approach mobile dentistry. Many states, such as Missouri, have not laid out any specific requirements for mobile dentists. All dentists in Missouri must abide by the same regulations as issued by the Missouri Dental Board. Other states, such as West Virginia, appear to have a bit more extensive regulation of mobile clinics than Texas. West Virginia requires for-profit organizations to pay $1,500 for a mobile clinic permit, the permit must be renewed annually, must provide handicap access via ramp or lift, have ready access to toilet facilities, have a covered, non-corrosive container for deposit of waste materials including biohazardous materials, have a Carbon Monoxide Detector and Smoke Detector installed, an AED on board, among other requirements. A few states such as California and Mississippi also require on-site inspections of the mobile dental facilities, which Texas does not require. The defendants overbilled Medicaid for more services than the mobile dentists could have rendered in one day. The defendants billed for specific dental services that were not actually performed by the dentists. The mobile dentistry company billed Medicaid for a “behavior management” charge on almost every pediatric patient, even if it was not needed. The mobile dentistry company charged Medicaid for a “trip charge” to almost every Medicaid patient, even though the dentists were only entitled to one trip to a facility, regardless of how many patients were examined or treated. Indiana. Federal prosecutors pursued Medicaid fraud charges against the owner of a mobile dentistry company that was alleged to have applied sealants (a non-covered services under Ohio and Indiana Medicaid rules) to the teeth of low income children in Ohio and Indiana, but billed the dental procedures as fillings (a covered serviced under Ohio and Indiana Medicaid rules) when submitting the claims to Medicaid for reimbursement. A U.S. District Court judge sentenced the defendant to 3 ½ years in prison for his role in the fraudulent conduct. As you may recall, the Affordable Care Act (ACA) passed in 2010 includes a provision which authorizes the Secretary, HHS to mandate that health care providers and suppliers establish a compliance program as a condition of their enrollment in Medicare, Medicaid, or the Children’s Health Insurance Program (CHIP). A number of states have also mandated that Medicaid providers implement an effective Compliance Program. Does your mobile dentistry company have an effective compliance program in place? Failure to comply with state Medicaid and / or private payor documentation requirements. The most common deficiency we have seen in internal audits conducted has been a recurring failure of dentists to comply with state regulatory documentation requirements. In cases where the state requirements were met, it was quite common to find the documentation requirements cited by Medicaid, Medicaid Advantage and private payor dental payor plans were not met. Failure to record a complete medical history for each pediatric patient. A detailed medical history should be provided for each pediatric patient and should be updated at each visit. The American Academy of Pediatric Dentistry (AAPD) recommends that a patient’s medical history includes the following elements or “pieces of information” along with an elaboration of positive findings: medical conditions and / or illness; name and telephone number of primary and specialty care providers; hospitalizations / surgeries; anesthetic experiences; current medications; allergies / reactions to medications; other allergies / sensitivities; immunizations status; review of systems; family history; and social history. Failure to record observations from x-rays. The dental notes did indicate, for most patients, when x-rays were taken. The radiographs typically accompanied the file but were not of diagnostic quality. Additionally, dentists failed to include any observations or interpretations from their review of the radiographs. AAPD notes that patient progress notes should include details on radiographic exposures and the dentist’s interpretations. Failure to properly document support for medical necessity. Pediatric dental records reviewed did not contain the name of the minor patient’s parent and many times the records contained identical narratives. Progress notes for each visit should contain the date of service, chief complaint or reason for the visit, radiographic exposures and interpretations, treatment rendered, and post-operative instructions and prescriptions. Additionally, our reviews have found that there was often little detail provided to support medical necessity of pediatric dental treatments provided. For example, prophylaxis was typically provided because it was medically required. Although dental notes often indicated that plaque was visible, the notes often failed to specify any areas of build-up. Also, the level of decay was typically not included to support services such as fillings and crowns. Failure to sign dental treatment notes. Rendering dentists have often failed to sign or initial each entry on the patient’s record pertaining to the treatment he or she rendered. Treating dentists and hygienists or assistants should sign or initial each entry on the patient’s record that pertains to a treatment he or she rendered. This is often a state regulatory requirement and is typically required by both governmental and private payor agreements. Missing dental treatment plans / consent forms. Completed dental treatment plans and consent forms have frequently been found to be missing from patient dental records. The dental treatment plans that were included were typically signed by the pediatric dental patient’s parent, but the signatures were often not dated. Signatures should be dated and these dates should correspond to the date listed as the date of authorization noted on the claim form. Many of the dates of authorization for the “signatures on file” on the claim form were after the date of service, which is an error cited in recent audits. Are undergoing a lengthy dental procedure. Additionally, prior to administering nitrous oxide, informed consent should be obtained from the patient’s parent and documented in the patient’s record. Also, be sure and properly document the nitrous oxide dosage, duration, and post-treatment oxygenation procedure. Excessive number of treatments administered to a pediatric patient in a single visit. Medical dental claims with a high number of treatments are frequently identified in data mining runs for audit and will likely be subject to close scrutiny in an audit. Dentists should include more detail regarding the level of decay present in each tooth to support the services provided. Failure to properly credential each treating dentist with Medicaid. Are your dentists properly credentialed with Medicaid and other payors? The billing of dental procedures under another dentists number (typically due to the fact that the rendering dentists has yet to be credentialed) may constitute an overpayment or even fraud. We are seeing a huge rise in the number of enforcement cases based on this type of improper conduct. Medicaid claims for dental services and procedures are under the regulatory microscope by federal and state enforcement agencies around the country. Now more than ever, it is essential that you fully understand your obligations under the law with respect to medical necessity, signature, consent, documentation, coding and billing requirements when billing dental claims. Is your mobile dentistry company being audited? Start out on the right path when responding to a request for dental records and claims information – give us a call. We can help. Robert W. Liles serves as Managing Partner at the health law firm, Liles Parker, Attorneys and Counselors at Law. Liles Parker attorneys represent dentists and dental care practice around the country in connection with UPIC and state audits of Medicaid dental claims, private payor audits of dental claims and OIG / DOJ investigations. Are you currently being audited or under investigation? We can help. For a free initial consultation regarding your situation, call Robert at: 1 (800) 475-1906. 22 Tex. Admin Code §108.40(a). 22 Tex. Admin Code §108.40(b)(1)-(6). 22 Tex. Admin. Code §§108.40 – 108.43. 22 Tex. Admin. Code § 108.42. 22 Tex. Admin. Code § 108.43. 22 Tex. Admin Code §108.40(b). (July 3, 2018): While a number of Medicare Advantage Plans now offer supplemental coverage for preventive, basic, and major dental services, only a narrow category of dental services qualify for coverage and payment under standard Medicare Part A (pursuant to Section 1862(a)(12) of the Social Security Act). Presently, only qualifying Medicaid beneficiaries are likely to have dental services coverage. With this in mind, last week’s Press Release by the Centers for Medicare and Medicaid Services (CMS) is especially pertinent. As CMS announced, the agency is implementing “new and enhanced initiatives designed to improve Medicaid program integrity through greater transparency and accountability, strengthened data, and innovative and robust analytic tools.” What does this mean for dentists and dental practices participating in the Medicaid program? Simply put, it means more dental audits and a much closer scrutiny of your assessment of medical necessity, documentation of the dental services provided, utilization practices and any business arrangements in which you participate. This will become especially apparent as Unified Program Integrity Contractors (UPICs) transition into their new roles as program integrity contractors of both Medicare and Medicaid claims. Over the last few months, we have noted that dentists and dental practices around the country are increasingly being targeted by UPICs in connection with government-paid claims. This article examines the history and direction of the CMS’s Fraud Prevention efforts and provides a thorough discussion of UPICs, highlighting their purpose, jurisdiction, and functions. I. What is a UPIC? Work closely with CMS on joint projects, investigations and other proactive, anti-fraud activities. The UPICs utilize a variety of techniques to address any potentially fraudulent, wasteful, or abusive billing practices based on the various leads they receive. The UPICs Integrate the program integrity functions for audits and investigations across Medicare and Medicaid, and assure that CMS’s National priorities for both Medicare and Medicaid are executed and supported at the state level or within the UPIC jurisdiction.” (emphasis added). Recognize a few familiar names? You should. Virtually all of these private sector companies have previously been awarded one or more prior CMS audit contracts. In any event, it has taken a while for CMS to wind-down existing program integrity contracts with Zone Program Integrity Contractors (ZPICs), responsible for auditing Medicare claims and Medicaid Integrity Contracts (MICs), responsible for auditing Medicaid claims. Those efforts are still ongoing in several areas of the country. A number of dentists and dental practices around the country are currently receiving audit letters from Qlarant, the UPIC responsible for conducting both Medicare and Medicaid program integrity audits in the Western Jurisdiction. While dental audits are nothing new, the initiation of UPIC audits of Medicaid, and in some cases, Medicare dental audits, has significantly raised the level of risk faced by participating dental providers. Like their ZPIC predecessors, UPICs are actively looking for evidence of fraud and will not hesitate to make a referral to federal and / or state prosecutors if potentially criminal conduct is identified. Assuming that the Medicaid dental services were, in fact, medically necessary, do they qualify for coverage under the payor’s contract? Whether the documentation maintained meets applicable State Dental Practice Act requirements AND any required documentation requirements mandated under your State Medicaid Provider Agreement, AND (if applicable to a particular claim), any other requirements that may be set out under your contract with a Medicaid Advantage Plan. Whether the dental services rendered were properly billed. IV. What you can Expect in UPIC Dental Audit of Your Medicare Dental Services or Medicaid Dental Services? You may also be subjected to an “unannounced visit” by a UPIC auditor. These unexpected face-to-face visits have become quite common. If this occurs, the UPIC auditor will typically provide you with a list of claims to be reviewed but will also want to obtain a sample of the associated medical records before they leave the practice. As part of the site visit, the UPIC auditor may also request to interview your personnel. This is where it can get quite complicated. As a participating provider, you have an affirmative obligation to cooperate with the UPIC’s requests. Unfortunately, the interview of you and your staff could possibly lead to admissions against interest. Call your attorney if a UPIC pays an unexpected visit your practice. We can usually negotiate a time with the auditor so that you (and members of your staff) can be represented by legal counsel. Issue a determination that an overpayment has been made. Allege that the claims request was a Statistically Valid Random Sample (this depends on the size and nature of the initial claims audit). If eligible, the UPIC may then project your error rate to the universe of claims processed during the particular time frame of your audit. Request that CMS suspend your Medicaid payments. Recommend to the HHS, Office of the Inspector General (OIG) that you and / or your dental practice be excluded from participation in federal and state health benefit programs (including, but not limited to Medicaid) in accordance with § 1128(b)(11) of the Social Security Act. Revocation of a dentist’s DEA permit. Referral to the State Dental Board for investigation and possible disciplinary action. The assessment of Civil Monetary Penalties (CMPs) by OIG. Referral to the U.S. Department of Justice (DOJ) for possible civil prosecution of False Claims Act violations. Referral to the DOJ for criminal prosecution. These cases have typically involved violations of the Anti-Kickback Statute, Health Care Fraud and / or other criminal laws. Examples of conduct that has led to criminal prosecution include billing Medicaid for unnecessary procedures and / or billing Medicaid for procedures that were never performed. In one case, a single dentist and his former employer were unable to produce medical records to support 335 claims totaling $26,657 that were sampled at his practice. In another case, a dentist was audited because it was virtually impossible for him to complete all of the services he billed for in a single day. When asked about the billings, he reportedly stated that he could complete a filling procedure in 30 seconds. As you can imagine, the government didn’t believe the dentist. One government audit found that two dentists billed for four or more fillings on one tooth or for two types of fillings on the same surface of the same tooth. Billing Medicaid for substandard work. Submitting claims for reimbursement under another dentist’s Medicaid provider number. Dental providers must realize that they are responsible for any and all claims submitted by their practice, whether or not they even have direct knowledge of the claim. You are liable for all of the information recorded on the Dental Claim Form. Do you have an effective Compliance Program in place? It is required under the Affordable Care Act. Moreover, most state Medicaid programs require that a such a plan be in place. Finally, all Medicaid Advantage plans require that participating dental providers have a Compliance Program. Have you and your staff reviewed necessary information regarding specific codes for billing Medicaid dental claims? Have you paid special attention to federal / state regulatory requirements, State Dental Practice obligations, and your contractual mandates? When was the last time you conducted an internal dental claims audit and examined whether the services you are providing fully reflect medical necessity requirements, are documented to meet the requirements of the payor, and are properly coded and billed? Have you fully implemented each of your obligations under HIPAA and HITECH? Being able to answer these questions can significantly reduce your exposure to outside audits and can help you in setting up (if you have not already done so), and maintaining an effective Compliance Program. It is our recommendation that you engage a suitable, qualified entity to help you. In this regard, Liles Parker can provide you with the advice and counsel you need. Our attorneys represent dental practices in both Medicaid and private payor dental audits. Moreover, we can assist you in assessing your current level of compliance so that you will be better prepared if your practice faces a UPIC audit in the future. Robert W. Liles, J.D., M.B.A., M.S., serves as Managing Partner at the law firm Liles Parker, Attorneys & Counselors at Law. Liles Parker attorneys represent dentists and dental practices around the country in connection with Medicaid claims audits and audits by private payors. For a free initial consultation, give us a call at: 1 (800) 475-1906. What does it mean if a contractor has been awarded a UPIC contract but it is designated as “Indefinite Delivery, Indefinite Quantity?” This is a term that is used by the General Services Administration (GSA) when the agency is not yet in a position to determine, above a specified minimum, the precise quantities of supplies or services that the government will require during a contract period. Essentially, it means that the ZPIC contracts in the remaining jurisdictions remain in place and are winding down. As those contracts terminate, the new UPIC contracts will be implemented. Qlarant was formally known as “Health Integrity, LLC” when it operated as a ZPIC for Zone 4. In contrast to their ZPIC predecessors (which are only responsible for auditing Medicare claims), UPICs are responsible for conducting program integrity audits of both Medicare AND Medicaid claims. For example, in 2017, the U.S. Attorney’s Office for the District of Nebraska unsealed an Indictment against a Nebraska-licensed dentist alleging that the dentist submitted approximately 129 claims to the Nebraska Medicaid program for dental services that the government alleges were never performed. The defendant dentist has been charged with violations of Health Care Fraud, 18 U.S.C. §1347. In its earlier incarnation as a ZPIC, it was our experience that Health Integrity auditors sometimes conflated “medical necessity” with “coverage.” This often resulted in audit findings proclaiming that one or more services rendered were allegedly not medically necessary, when in fact the services were medically necessary, they just didn’t qualify for coverage under the payor’s contract. In our review of dental claims, the lack of adequate documentation has been identified as the primary reason cited by auditors when denying payment. Dentists and dental professionals MUST review federal and state regulatory requirements, along with applicable contractual obligations to ensure that their documentation practices are fully compliant with coverage and payment rules. For example, in November 2017, the U.S. Attorney’s Office for the Southern District of New York unsealed a Complaint against a New York licensed dentist and a non-licensed individual performing unauthorized dental services. As the Complaint reflects, some of the Medicaid claims billed were associated with patients who had been recruited to the dental practice and paid kickbacks of $25 to undergo minimal dental procedures. Improper coding practices can take a wide variety of forms. While “upcoding” and “billing for services not rendered” are perhaps the most common violations cited by dental claims auditors. We have also seen instances where dentists or dental practices have rendered non-covered services but have miscoded the services so that they would qualify for coverage and payment. While every dental practice is different, a common billing error that we have identified in our compliance reviews has been that dental practices often fail to credential new dentists with one or more payors in a timely fashion. Instead, the practices improperly bills for the dental services rendered by a non-credentialed provider under the number of a credentialed provider. We have found this problem when auditing both Medicaid and private payor dental claims. This improper practice can lead to the repayment of overpayments, referral to one’s State Dental Board, liability under the civil False Claims Act, and, in more serious cases, in criminal prosecution. For a more detailed discussion of how UPIC audits are generated, please see: Medicare Program Integrity Manual, Chapter 2, §2.3. The sources utilized by UPICs are the same as those relied on by ZPICs. (June 16, 2017): Under the Social Security Act, states are required to operate a Medicaid Fraud Control Unit (MFCU). Each MFCU is tasked with the investigation and prosecution (under state law) of Medicaid providers who engage in fraud or patient abuse. Last year was rough for dentists participating in the Medicaid program. 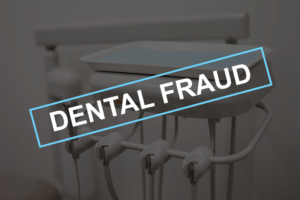 As set out in the “Medicaid Fraud Control Units Fiscal Year 2016 Annual Report,” there were more open fraud investigations against dentists than against any other type of licensed practitioner providing services to Medicaid beneficiaries. Additionally, the amount of money recovered by MFCUs in connection with Medicaid dental fraud cases last fiscal year far exceeds the recoveries made with other types of licensed Medicaid practitioners. What does this mean for your practice? As a participating dental provider in the Medicaid program, it is essential that you ensure that the services you bill to Medicaid fully qualify for coverage and payment. This article examines one of the more common problem areas that have been identified by state MFCUs — the billing of intravenous (IV) sedation services by dentists to the Medicaid program. Minimal Sedation. At this level, a patient is normally sedated nitrous oxide (commonly referred to as “laughing gas”). The nitrous oxide is administered the nitrous oxide through a mask placed over the patient’s nose. This minimally sedates the patient, who remains awake but is relaxed throughout the procedure. Moderate Sedation. Often referred to as “conscious sedation,” this level of sedation can be achieved through the taking of a pill, such as Halcion. Although the pill will make the patient drowsy, the patient remains awake. Most states require that dentists offering moderate sedation undergo additional training and licensed or certified by their state licensing board. Deep Sedation (IV Sedation). IV sedation, often achieved through a vein in the hand, is commonly used to place a patient under this level of consciousness. IV sedation can be administered by an anesthesiologist or a properly trained and licensed dental professional (such as an oral surgeon). General Anesthesia. A dental patient placed under general anesthesia is fully unconscious during the procedure conducted. This is the deepest level of sedation dentistry. It is usually performed in a hospital surgical environment by an anesthesiologist or a highly trained oral or maxillofacial surgeon. The medical necessity, coverage, documentation and payment rules applicable to dental sedation vary from one state to another. For instance, as a general rule, if your dental sedation claims are audited by Medicaid, the reviewer will attempt to assess whether level of sedation you administered was medically necessary and appropriate in each particular case. It is therefore essential that you ensure that you ensure that you are properly trained, certified and / or licensed by the state to provide IV sedation or general anesthesia services prior to administering that level of care. Additionally, keep in mind that Medicaid’s documentation requirements, coverage and payment rules frequently change. If you intend to provide this level of dental sedation, you need to periodically review the Medicaid Provider Handbook for your state to ensure that your efforts fully comply with applicable requirements. Risk Area #1: Billing for IV sedation when the level of sedation actually administered was conscious sedation. IV sedation is typically reimbursed at a much higher rate than either moderate sedation (conscious sedation) or minimal sedation (nitrous oxide). Risk Area #2: Billing for IV sedation on the basis that it was necessary for emergency medical care when, in fact, no emergency conditions were present. If the medical necessity of IV sedation is supposed to be based on the fact that it was needed for emergency dental care services, an auditor is likely to fist look at where the services were provided. Some states require that IV sedation must be administered in a hospital or a qualified ambulatory surgical center. To the extent that your state is more flexible on the site of administration, it is still very important that you document the facts and circumstances which constitute the medically necessary emergency conditions that required the use of IV sedation..
Risk Area #3: Billing for IV sedation procedures without justifying in writing, that the service is required for a patient who is uncontrollable under local anesthesia alone. Most state have identified a number of cognitive and behavioral conditions that make it difficult for a patient to be sedated with only minimal or moderate sedation. If you are administering IV sedation to a patient based on the fact that a patient is uncontrollable, we strongly recommend that you fully document the reasons that this level of sedation is medically necessary. Risk Area #4: Billing Medicaid for IV sedation services at a higher rate for [IV sedation] provided to a Medicaid recipient than dentist charged to other payors. A number of states have This particular state has broad statutory provisions that restrict a provider from charging a higher rate for any unit of service provided to a Medicaid recipient than the provider charges others (with the exception of what is billed to Medicare). Risk Area #5: Submitting a claim for oral sedation when in fact the patient was administered IV sedation prior to the effective date that the dentist was licensed to perform sedation.” Most states require that dentists have specialized training and be certified or specifically licensed by the state to administer IV sedation or general anesthesia. In this particular case, it was alleged that the dentist purposefully miscoded the level of sedation administered to hide the fact that he / she was not yet licensed by the state to administer IV sedation. Risk Area #6: Administering and billing Medicaid for IV sedation on dental patients that were merely receiving teeth cleaning services and did not otherwise qualify for this level of dental sedation. During an audit, if you have been found to have administered and billed for IV sedation when you are merely cleaning a patient’s teeth, the government will undoubtedly argue that these services were not medically necessary or required. IV sedation cannot be provided to a patient merely because the patient has requested it or because it would make the dentist’s job easier. Risk Area #7: Administering and billing for IV sedation services that were performed in connection with underlying procedures that Medicaid does not cover.” If a dentist performs care and treatment procedures that do not qualify for coverage and payment under Medicaid, the dentist cannot administer and bill Medicaid for associated IV sedation services, even though the non-covered underlying services may have justified the use of IV sedation. Risk Area #8: Billing for more time spent administering VI sedation services than the actual time that the recipient spent under IV sedation OR in excess of the time medically necessary for the underlying procedure.” Even if the administration of IV sedation may have been medically necessary, you still cannot bill Medicaid for more time than the patient was actually sedated. Risk Area #9: The defendants were alleged to have backdated and billed Medicaid for IV sedation services on the basis that the underlying facts qualified as “emergent,” when, in fact, the definition of what constitutes a qualifying emergent situation changed. Improperly backdating medical records in an effort to qualify for coverage under the old rules, is both a violation of your state Dental Practice Act and is likely a criminal offense under both state and federal law. Don’t do it! Risk Issue #10: Failure to conform to the minimum professional standards of dentistry. For example, in one recent case, a dentist was alleged to have engaged in the performance of patient care (regardless of whether actual injury to the patient occurred), that did not conform to minimum professional standards of dentistry. More specifically, the dentist was alleged to have performed a dental extraction procedure on a sedated patient while riding a hoverboard. The dentist also allegedly filmed the procedure and distributed the film to persons outside of the dental practice. Robert W. Liles, JD, MBA, MS is an attorney with Liles Parker, Attorneys & Clients at Law. Our Firm has offices in Washington, DC; Baton Rouge, LA; Houston, TX and San Antonio, TX. We represent dentists and dental providers around the country in connection with Delta Dental and other insurance payors audits of their dental claims. Should you have questions, please give Robert a call for a free consultation. He can be reached at: 1 (800) 475-1906. At this time, 49 states and the District of Columbia an active Medicaid Fraud Control Unit (MFCU). North Dakota has not established a MFCU. (May 15, 2017): Over the last decade, both state and federal law enforcement agencies have aggressively investigated and prosecuted instances of Medicaid dental fraud. In recent years, these efforts have been widely implemented (and expanded) by private payor Special Investigative Units (SIUs). One dental benefits program in particular has been especially active in this regard – Delta Dental. This not-for-profit dental insurance company has been engaged to administer a number of state[i], federal and private dental benefits programs around the country. Delta Dental audits are increasing in frequency and are focusing on dental practices around the country. Delta Dental is the proverbial “800 Pound Gorilla” of dental benefits programs. For more than 60 years, Delta Dental has provided dental coverage to individuals, employers, associations and groups around the country. At last count, Delta Dental was estimated to provide dental insurance to approximately one-third of all Americans. More than 73 million individuals (in more than 129,000 associations and groups) are currently covered by Delta Dental Insurance. It has been estimated that Delta Dental processes more than 2.2 million dental claims each week. [ii] Depending on the jurisdiction, Delta Dental benefit programs may cover state programs (such as Medi-Cal), federal programs (such as TriCare and CHAMPUS) and a host of private, non-governmental associations and groups. As a result, there is high likelihood that your dental practice currently provides oral health treatment services to patients covered by Delta Dental. This article examines a number of the audit practices that you may encounter if your dental claims are targeted by Delta Dental’s SIU. I. How Are Delta Dental Audits Generated? The primary targeting tools utilized by dental payors to identify improper dental claims and business practices are “Predictive Modeling and Data Mining.” Other significant sources of audits typically include “Complaints” by beneficiaries, other dental practices (such as competitors), former (and, often disgruntled) employees. Delta Dental SIU’s have also consistently monitored a dental provider’s “Error Rate” when selecting specific targets for audit and investigation. Predictive Modeling / Data Mining. Delta Dental SIUs actively conduct analyses of a dental providers’ utilization and claims submission practices. If the care and treatment practices of a specific dentist or dental group appear to be inconsistent with those its peers, the dental provider will be flagged for audit as an outlier. To the extent that your dental practice or organization is subjected to an audit, it is essential that you determine whether your dental coding and billing practices fully comply with applicable regulations and / or contractual requirements. If so, you must be prepared to explain to an SIU (and in some cases, to law enforcement) why the anomalies identified through data mining or predictive modeling are not evidence of fraud or overpayment. Dental providers facing this situation should work with experienced legal counsel to ensure that the arguments to be presented fully address the payor’s concerns. Failure to do so may result in an expansion of a dental claims audit. Understandably, Delta Dental SIUs actively encourage beneficiaries and others to report incidents of possible billing fraud, waste and abuse. Delta Dental SIUs and other dental payors have repeatedly found that the documentation practices of many dental providers are often incomplete and fail to comply with the minimum standards required by Delta Dental and / or other payors. As a result, when an SIU investigates a complaint, the Investigator assigned to the case is often unable to establish that the care and treatment services billed were medically necessary and qualify for coverage and payment under the payor’s plan. Error Rate. Not surprisingly, to the extent that a dental provider’s prior claims have been denied, dental payor SIUs have often utilized a provider’s error rate as a targeting tool. The theory employed by dental payors is that dental providers with a history of denied claims are more likely to have problems documenting medical necessity, meeting a payor’s coverage requirements, properly coding and billing a dental claim, and / or fully documenting a patient’s care. Routine failure to collect the patient’s full payment or share of cost without notifying the carrier. Is your dental practice consistently collecting co-payments and deductibles that may be owed by a covered beneficiary? In the case of non-government administered plan, the unsupported waiver of these amounts may constitute a breach of contract (In the case of a state or federal funded plan that is administered by Delta Dental, such a failure may constitute a violation of the Anti-Kickback Statute. Concealing other available coverage. The failure to identify (and bill) additional dental payors is often cited as a basis for an overpayment in dental claims audits conducted by Delta Dental and other payors. Misreporting dates to circumvent calendar year maximums or time limitations. The misreporting of dates in an effort to evade calendar year maximums and / or time limitations may constitute a violation of one or more state and federal fraud statutes. Submitting claims for covered services when non-covered services are provided. The mischaracterization of services in an effort to get an otherwise non-covered service paid by a payor is very problematic. Dental payor SIUs view such conduct as evidence that a dental provider is purposely attempting to avoid the payment denial of a non-covered service or claim. Providing medically unnecessary services. Delta Dental SIUs are quick to deny claims that do not fully document that the services at issue are both medically necessary and appropriate. These types of denials often fall into two categories. The first category would include services that are not authorized under a patient’s plan due to frequency limitations. The second category would include services that are allegedly not warranted in light of the patient’s dental care and treatment needed. It is It is important to keep in mind that a service or claim can be medically necessary yet still not qualify for coverage and payment. Ultimately, every dental service or claim, regardless of whether the beneficiary is a Medicare, Medicaid, or private plan participant, must be examined to see if it qualifies for coverage. In making coverage determinations, many dental payors have interpreted the phrase “reasonable and necessary” to reflect that a dental service is safe, effective and not experimental or investigational. When applying these terms, dental payors often look to see whether a dental service has been proven safe and effective based on authoritative evidence, or alternatively, whether a service is generally accepted in the dental community as safe and effective for the condition for which it is used. Patients who use another person’s ID to obtain benefits. While the Affordable Care Act may have made great strides in expanding eligibility and increasing the availability of medical care, covered dental care has remained problematic. As a result, we have continued to see instances where a covered beneficiary has “lent” his or her identification to a friend or family member who would otherwise not qualify for covered dental care and treatment services. Limiting the availability of appointment times when compensation is capitation-based (i.e., in dental HMO type programs). Dental payors are especially sensitive to situations where it appears that a dental provider has discriminated against a patient due to the fact that the negotiated rate of reimbursement under a dental HMO plan is lower than it is under a fee-for-service plan. Check your contracts! This type of conduct can expose a dental provider to significant liability. In today’s environment of sophisticated data mining, it is essential that dentists have a clear picture of how their coding and billing practices compare to those of their peers. Unfortunately, the “benchmarking” data available to dentists is quite limited. Nevertheless, a number of private and governmental payor reports issued in recent years can assist a dentist in determining whether its coding and billing utilization appears to be in line with what a payor would normally expect to see. Importantly, just because a dentist’s coding and billing practices differ from those of their peers, this does not necessarily mean that the dentist’s action are illegal or improper. Over the years, we have seen dentists targeted by private and / or governmental payors due to the fact that their coding and billing actions were different from those of other dentists. In one case, we found that a dentists was recognized as an “expert” by his peers and often received highly-complex referrals by other dental providers. As a result, the number of highly complex procedures performed by the dentist exceeded those of other similarly-situated dentists in the community. In any event, you need to know how your practices compare to those of your peers. If your dental coding and billing practices make you an outlier, you need to be prepared for an audit and be ready to explain why the services you provide are appreciably different from those of other dentists in the community. If you have not already done so, you should develop and implement an effective Compliance Program for your dental practice. If you participate in Medicaid, Medicaid Advantage or another state or federal health benefits program with dental benefits, you are likely already required by law to have one in place. Additionally, most private payor dental plans are also now requiring that an effective Compliance Program be put into place. The implementation of a living, breathing Compliance Program can go a long way towards helping your dental practice remain compliant with applicable, statutory, regulatory and contractual requirements. Robert W. Liles, JD, MBA, MS is an attorney with Liles Parker, Attorneys & Clients at Law. Our Firm has offices in Washington, DC; Baton Rouge, LA; Houston, TX and San Antonio, TX. We represent dentists and dental providers around the country in connection with Delta Dental and other insurance payors audits of their dental claims. Should you have questions, please give Robert a call for a free consultation. He can be reached at: (202) 380-8134. [i] Delta Dental of California has administered the Denti-Cal Program for the State of California, Department of Health Care Services since 1974. (January 9, 2017): A recent report of the New York State agency that administers the Medicaid program by the Department of Health and Human Services, Office of Inspector General (OIG) further highlights the importance of ensuring that dentists providing services to Medicaid beneficiaries are properly licensed, enrolled as a Medicaid provider and not excluded from program participation. As the number of Medicaid dental audits continues to rise, it is essential that your dental practice take a number of steps to better ensure that your dentists and allied dental professionals meet a number of basic eligibility requirements. I. Has Your Dental Practice Implemented a Compliance Program? As an initial step, every dental practice participating in the Medicaid program must develop and implement an effective Compliance Program. Among its many provisions, the Affordable Care Act requires that a “provider of medical or other items or services or supplier within a particular industry sector or category” shall establish a compliance program as a condition of enrollment in Medicare, Medicaid, or the Children’s Health Insurance Program (CHIP). An effective Compliance Program can greatly assist a dental practice in its efforts to ensure that each of its dentists are eligible to provide and bill for services administered to Medicaid beneficiaries. II. Are Your Dentists Properly Licensed? 6601. Definition of practice of dentistry. The practice of the profession of dentistry is defined as diagnosing, treating, operating, or prescribing for any disease, pain, in jury, deformity, or physical condition of the oral and maxillofacial area related to restoring and maintaining dental health. The practice of dentistry includes the prescribing and fabrication of dental prostheses and appliances. The practice of dentistry may include performing physical evaluations in conjunction with the provision of dental treatment. Should an unlicensed individual engage in the practice of dentistry, they may be guilty of a Class E Felony §6612 of the New York State Education Law. Moreover, if a licensed dentist aids of abets three or more unlicensed persons in the practice of the profession, that person may be guilty of a Class E. Felony. As part of your ongoing compliance efforts, you should periodically verify that each of your professionals are properly licensed by the state to practice dentistry and that there are no limitations on their license. It is also important to monitor the status of any licenses maintained by members of your staff in other states. III. Is a Dentist Properly Enrolled as a Medicaid Provider? You will be at financial risk if you render services to Medicaid beneficiaries before successfully completing the enrollment process. Payment will not be made for any claims submitted for services, care, or supplies furnished before the enrollment date authorized by the Department of Health. Unfortunately, when audits of paid Medicaid dental claims are conducted, this is a common risk area that has been identified around the country. Dental practices bringing on new staff may mistakenly think that it is permissible to bill for dental services provided by a non-credentialed dentist (whose enrollment application with Medicaid is pending) under the number of a credentialed dentist. In most states, such a practice is improper and could subject a practice to fines, penalties and other sanctions. The enrollment process is there to help protect the integrity of the Medicaid program. If an applicant has previously been terminated, denied enrollment, suspended or otherwise sanctioned by Medicaid, a state may determination that it is not in the interests of the program to allow the applicant to participant in the program. Similarly, an applicant may have been convicted of a health care related crime or may have adverse licensure actions pending in another state. For these reasons (and others), the enrollment process is an essential tool used by the state to filter out applicants that may represent a significant risk to the Medicaid program or its beneficiaries. IV. Have You Screened Your Dentists and Staff Through Available Exclusion / OIG Screening Databases? Among its many duties, OIG has been delegated the authority to “exclude” individuals and entities from participating in federal health benefits programs. Depending on the nature of the offense, the decision to exclude an individual or entity may be either mandatory or permissive. There are currently 38 state databases and 2 federal databases that must be checked every 30 days to ensure that the members of your staff have not been added to the one or more exclusion list. Should you fail to properly screen and inadvertently employ an excluded dentist or other staff member, you may face overpayments, civil monetary penalties and / or other sanctions. Essentially, Medicaid will not pay for any claim if an excluded individual or entity contributed to the basket of services provided to the patient — either directly or indirectly. Exclusion screening is a fundamental component of an effective Compliance Plan. There are a number of companies that can provide these screening services for a low monthly cost. Two of our attorneys established a company, Exclusion Screening, LLC to conduct these screening services. For information on their services, you can call: 1 (800) 294-0952. As a participating provider in the Medicaid program, you are obligated to comply with a wide variety of statutory and regulatory provisions. Confirming the eligibility of each of your professional staff members to provide services to Medicaid beneficiaries is merely one of these requirements. The development, implementation of an effective Compliance Program can greatly reduce your overall level of regulatory risk. (August 23, 2016): During 2014, the Texas Health Human Services Commission’s (THHSC), Office of Inspector General (IG) found itself at the center of a number of controversial investigations and probes associated with its review of Medicaid dental claims. In response, Governor Greg Abbott appointed Stuart W. Bowen, the former Inspector General for Iraq Reconstruction to serve as the new Inspector General for the THHSC. A graduate of the University of the South (Sewanee), Mr. Bowen set out in 2015 to set the IG’s Office back on course. Characterizing 2015 as a year of “restructuring and reform,” the IG’s Office entered 2016 ready to reinstitute an aggressive review of problematic Medicaid claims. As Texas Medicaid dental audits move forward, you need to ensure that your practices are compliant with all applicable statutory and regulatory requirements. Are Medicaid dental providers meeting the required medical necessity criteria for performing procedures that use anesthetization and sedation? Do the anesthetization/sedation services performed on children meet Medicaid standards? The PDAT finalized its survey work in July 2016. It has been conducting fieldwork this month and is expected to continue to do so in September 2016. A final report, with the PDAT’s recommendations and “lessons learned” is not expected until later this year. II. What Will Texas Medicaid Dental Audits Mean for My Dental Practice? Assuming the PDAT’s Final Report is issued in November or December 2016, we anticipate that audits and investigations flowing from their review may begin as soon as Spring 2017. It is therefore imperative that you take steps today to better ensure that your Medicaid dental practice fully complies with all applicable laws and regulations. As a starting point, it is essential to keep in mind that as a participating provider in the Medicaid Program, you are required to have an effective Compliance Plan in place. As set out to the Texas Medicaid Provider Enrollment Application, prospective Texas Medicaid providers must attest to its Compliance Program Requirement. Under this condition, a provider must verify that in accordance with requirement TAC 352.5(b)(11), the Provider has a Compliance Program containing the core elements as established by the Secretary of Health and Human Services referenced in §1866(j)(8) of the Social Security Act (42 U.S.C. §1395cc(j)(8)), as applicable. Does this section look familiar to you? A Texas Medicaid provider must affirmatively attest that he or she has a compliance plan in place prior to submitting his or application for enrollment. However, you may have simply checked the box “yes” without even realizing what a compliance program is or what is required under this section. This may be a serious mistake. An effective Compliance Plan can better assist you in meeting your statutory, regulatory and contractual obligations as a Medicaid provider. Failure to meet the medical necessity criteria for performing procedures that use anesthetization and sedation on Medicaid beneficiaries. Failure to meet Medicaid’s standards for the anesthetization and / or sedation services performed on children. Billing Medicaid for unnecessary procedures. Billing Medicaid for procedures that were never performed. Our attorneys currently represent a number of Medicaid dentists in Texas (and in other areas of the country) in connection with Medicaid and private payor audits of dental claims. We are also experienced in handling False Claims Act cases and in working with a dental practice to draft and implement an effective Compliance Plan. Texas Medicaid dental providers can’t afford to wait for the next round of dental audits and investigations. Now is the time to review the documentation, medical necessity, coverage and billing practices to ensure that your office is fully compliant with applicable state and federal Medicaid requirements. Robert W. Liles, M.B.A., M.S., J.D., serves as Managing Partner at Liles Parker, Attorneys & Counselors at Law. Liles Parker is a boutique health law firm, with offices in Washington DC, Houston TX, San Antonio TX, McAllen TX and Baton Rouge LA. Robert represents dentists and dental practices around the country in connection with Medicaid and private payor audit actions. Our firm also represents health care providers in connection with federal and state regulatory reviews and investigations. For a free consultation, call Robert at: 1 (800) 475-1900.